Air pollution and the gut: Are fine particles linked to bowel disease?Worldwide, an estimated 5 million people suffer from diseases of the gastrointestinal tract. In recent years, scientists have identified genes that may account for as much as 25 percent of these diseases. But now they are beginning to look beyond the human genome to the environment for answers. 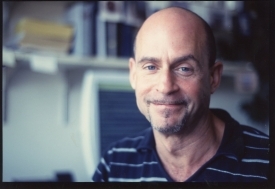 Senior author Alan Kristal, Dr.P.H., is a member of the Public Health Sciences Division at Fred Hutch. A second large, prospective study by scientists at Fred Hutchinson Cancer Research Center has confirmed the link between high blood concentrations of omega-3 fatty acids and an increased risk of prostate cancer. Published in the online edition of the Journal of the National Cancer Institute, the latest findings indicate that high concentrations of EPA, DPA and DHA – the three anti-inflammatory and metabolically related fatty acids derived from fatty fish and fish-oil supplements – are associated with a 71 percent increased risk of high-grade prostate cancer. The study also found a 44 percent increase in the risk of low-grade prostate cancer and an overall 43 percent increase in risk for all prostate cancers. The increase in risk for high-grade prostate cancer is important because those tumors are more likely to be fatal. The findings confirm a 2011 study published by the same Fred Hutch scientific team that reported a similar link between high blood concentrations of DHA and a more than doubling of the risk for developing high-grade prostate cancer. The latest study also confirms results from a large European study. “The consistency of these findings suggests that these fatty acids are involved in prostate tumorigenesis and recommendations to increase long-chain omega-3 fatty acid intake, in particular through supplementation, should consider its potential risks,” the authors wrote. “We’ve shown once again that use of nutritional supplements may be harmful,” said Alan Kristal, Dr.P.H., the paper’s senior author and member of the Fred Hutch Public Health Sciences Division. Kristal also noted a recent analysis published in the Journal of the American Medical Association that questioned the benefit of omega-3 supplementation for cardiovascular diseases. The analysis, which combined the data from 20 studies, found no reduction in all-cause mortality, heart attacks or strokes. 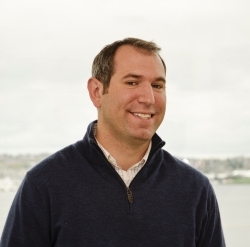 Corresponding author Theodore Brasky, Ph.D., a research assistant professor at The Ohio State University Comprehensive Cancer Center, was a postdoctoral trainee at Fred Hutch when the research was conducted. “What’s important is that we have been able to replicate our findings from 2011 and we have confirmed that marine omega-3 fatty acids play a role in prostate cancer occurrence,” said corresponding author Theodore Brasky, Ph.D., a research assistant professor at The Ohio State University Comprehensive Cancer Center who was a postdoctoral trainee at Fred Hutch when the research was conducted. “It’s important to note, however, that these results do not address the question of whether omega-3’s play a detrimental role in prostate cancer prognosis,” he said. Kristal said the findings in both Fred Hutch studies were surprising because omega-3 fatty acids are believed to have a host of positive health effects based on their anti-inflammatory properties. Inflammation plays a role in the development and growth of many cancers. It is unclear from this study why high levels of omega-3 fatty acids would increase prostate cancer risk, according to the authors, however the replication of this finding in two large studies indicates the need for further research into possible mechanisms. One potentially harmful effect of omega-3 fatty acids is their conversion into compounds that can cause damage to cells and DNA, and their role in immunosuppression. Whether these effects impact cancer risk is not known. The difference in blood concentrations of omega-3 fatty acids between the lowest and highest risk groups was about 2.5 percentage points (3.2 percent vs. 5.7 percent), which is somewhat larger than the effect of eating salmon twice a week, Kristal said. The current study analyzed data and specimens collected from men who participated in the Selenium and Vitamin E Cancer Prevention Trial (SELECT), a large randomized, placebo-controlled trial to test whether selenium and vitamin E, either alone or combined, reduced prostate cancer risk. That study showed no benefit from selenium intake and an increase in prostate cancers in men who took vitamin E.
The group included in this analysis consisted of 834 men who had been diagnosed with incident, primary prostate cancers (156 were high-grade cancer) along with a comparison group of 1,393 men selected randomly from the 35,500 participants in SELECT. The National Cancer Institute and the National Center for Complementary and Alternative Medicine funded the research. Also participating in the study were additional Fred Hutch scientists and researchers from the University of Texas, University of California, University of Washington, National Cancer Institute and the Cleveland Clinic. Fish oil linked to prostate cancer. NBC’s Dr. Nancy Snyderman reports. Brasky TM, Till C, White E, Neuhouser ML, Song X, Goodman P, Thompson IM, King IB, Albanes D, Kristal AR. Serum phospholipid fatty acids and prostate cancer risk: results from the prostate cancer prevention trial. Am J Epidemiol 2011; 173: 1429-39. Council for Responsible Nutrition. CRN Says New Study on Omega-3 Conclusions Are Overblown. Press Release, July 11, 2013. Gourmands and foodies everywhere have long recognized ginger as a great way to add a little peppery zing to both sweet and savory dishes; now, a study from researchers at Columbia University shows purified components of the spicy root also may have properties that help asthma patients breathe more easily. The results of the study was presented at the American Thoracic Society International Conference (May 17 to 22, 2013) in Philadelphia. Asthma is characterized by bronchoconstriction, a tightening of the bronchial tubes that carry air into and out of the lungs. Bronchodilating medications called beta-agonists (β-agonists) are among the most common types of asthma medications and work by relaxing the airway smooth muscle (ASM) tissues. 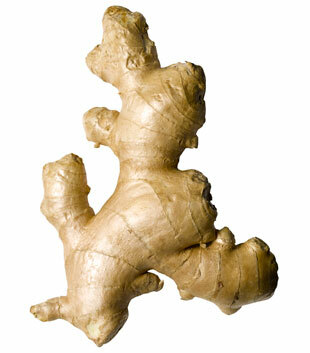 This study looked at whether specific components of ginger could help enhance the relaxing effects of bronchodilators. To conduct their study, the researchers took human ASM tissue samples and caused the samples to contract by exposing them to acetylcholine, a neurotransmitting compound that causes bronchoconstriction. Next, the researchers mixed the β-agonist isoproterenol with three separate components of ginger: 6-gingerol, 8-gingerol or 6-shogaol. Contracted tissue samples were exposed to each of these three mixtures as well as unadulterated isoproterenol and the relaxation responses were recorded and compared. At the conclusion of their study, the researchers found that tissues treated with the combination of purified ginger components and isoproterenol exhibited significantly greater relaxation than those treated only with isoproterenol; of the three ginger components, 6-shogaol appeared most effective in increasing the relaxing effects of the β-agonist. Once they were able to demonstrate that the ginger components enhanced the relaxing effects of the β-agonist, they turned their attention to learning why. First, the researchers wanted to determine if the ginger components might work by affecting an enzyme called phosphodiesterase4D (PDE4D). Previous studies have shown that PDE4D, which is found in the lungs, inhibits processes that otherwise help relax ASM and lessen inflammation. Using a technique called fluorescent polarization, they found that all three components significantly inhibited PDE4D. Next, the study looked at F-actin filaments, a protein structure which previous studies have shown plays a role in the constriction of ASM, and found that 6-shogaol was effective in speedily dissolving these filaments. Dr. Townsend and her colleague, Dr. Charles Emala, hope future studies will enable them to gain a better understanding of the cellular mechanisms that facilitate ASM relaxation and to determine whether aerosol delivery of these purified constituents of ginger may have therapeutic benefit in asthma and other bronchoconstrictive diseases. Rationale: Asthma prevalence has steadily increased and is characterized by bronchoconstriction. Bronchodilators are the first-line therapy to reverse airway obstruction by relaxing airway smooth muscle (ASM). Asthma therapies include β-agonists that induce bronchodilation by activating adenylyl cyclase, increasing cAMP and activating protein kinase A. Despite improved understanding of the pathogenesis of asthma, few novel therapeutics have been approved for targeting asthma symptoms in the last 40 years. This highlights the need for new therapies that relax contracted airways while also augmenting traditional therapies. We demonstrated that purified components of ginger can relax ASM. By understanding the mechanisms by which these compounds exert their effects on the airway, we can explore the use of these phytotherapeutics in alleviating asthma symptoms. We hypothesized that unique chemical components of ginger have bronchorelaxant properties and work synergistically with β-agonist signaling to relax ASM. Methods and Results: Epithelial-denuded human ASM tissue (deidentified; exempt from Columbia’s IRB) was contracted with acetylcholine in organ baths. ASM tissues were then relaxed dose-dependently with β-agonist, isoproterenol (100 pM – 10 μM, half-log increments). The tissues were treated concurrently at 300 pM isoproterenol with vehicle, 6-gingerol, 8-gingerol, or 6-shogaol (100 μM). Significant potentiation of isoproterenol-induced relaxation was observed with each of the ginger constituents. 6-shogaol showed the largest leftward shift in the EC50 for isoproterenol. Purified phosphodiesterase 4D enzyme, the prominent isoform in the lung, was used to assess PDE inhibitory action of the ginger constituents using fluorescent polarization analyses. 6-gingerol, 8-gingerol, and 6-shogaol (100 μM, 15 min) significantly inhibited PDE4D compared to vehicle control (0.2% DMSO), the PDE4-selective inhibitor, rolipram (10 μM) and non-selective PDE inhibitor, IBMX (250 μM) were used as positive controls. β-agonist induced depolymerization of actin via a PKA-HSP20-dependent pathway contributes to ASM relaxation. In primary human ASM cells transiently transfected with RFP-actin, treatment with 6-gingerol, 8-gingerol, or 6-shogaol showed acute (within seconds) dissolution of F-actin filaments. This was not due to PKA phosphorylation of HSP20. Conclusions: Taken together, these data show synergistic effects of ginger constituents 6-gingerol, 8-gingerol, and 6-shogaol with β-agonist in relaxing ASM. This may be attributed to increased cAMP due to PDE4D inhibitory activity. Additionally, these compounds stimulate actin depolymerization through a novel PKA-independent pathway, providing another pathway for potentiation with β-agonists. These compounds may provide additional relief of asthma symptoms when used in combination with β2-agonists and highlight novel use of phytotherapeutics in the treatment of obstructive lung disease. Professor Yehuda Shoenfeld (Faculty of Medicine, Tel Aviv University, Israel) talks about ASIA (Autoimmune Syndrome Induced by Adjuvants) and discuss his recommendations regarding further research in the field. Shoenfeld Y. Video Q&A: what is ASIA? An interview with Yehuda Shoenfeld. BMC Medicine 2013; 11: 118. A government survey of parents says 1-in-50 U.S. schoolchildren has autism, surpassing earlier federal estimate for the disorder. 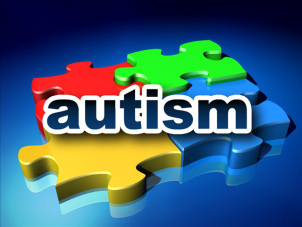 Health officials say the new number doesn’t mean autism is occurring more often. But it does suggest that doctors are diagnosing autism more frequently, especially in children with milder problems. The earlier government estimate of 1-in-88 comes from a study that many consider more rigorous. It looks at medical and school records instead of relying on parents. For decades, autism meant kids with severe language, intellectual and social impairments and unusual, repetitious behaviors. But the definition has gradually expanded and now includes milder, related conditions. The new report released on March 20, 2013 by the Centers for Disease Control and Prevention would mean at least 1 million children have autism. The number is important: Government officials look at how common each illness or disorder is when weighing how to spend limited public health funds. It’s also controversial. The new statistic comes from a national phone survey of more than 95,000 parents in 2011 and 2012. Less than a quarter of the parents contacted agreed to answer questions, and it’s likely that those with autistic kids were more interested than other parents in participating in a survey on children’s health, CDC officials said. Still, CDC officials believe the survey provides a valid snapshot of how many families are affected by autism, said Stephen Blumberg, the CDC report’s lead author. The study that came up with the 1-in-88 estimate had its own limitations. It focused on 14 states, only on children 8 years old, and the data came from 2008. Updated figures based on medical and school records are expected next year. “We’ve been underestimating” how common autism is, said Michael Rosanoff of Autism Speaks, an advocacy group. He believes the figure is at least 1-in-50. There are no blood or biologic tests for autism, so diagnosis is not an exact science. It’s identified by making judgments about a child’s behavior. Physicians have been looking for autism at younger and younger ages, and experts have tended to believe most diagnoses are made in children by age 8. However, the new study found significant proportions of children were diagnosed at older ages. Dr. Roula Choueiri, a neurodevelopmental pediatrician at Tufts Medical Center in Boston, said she’s seen that happening at her clinic. Those kids “tend to be the mild ones, who may have had some speech delays, some social difficulties,” she wrote in an email. But they have more problems as school becomes more demanding and social situations grow more complex, she added. The greatest change in prevalence estimates was seen in boys and for adolescents aged 14 to 17 years old. Also, children who were first diagnosed in or after 2008 were more likely to have milder autism than those diagnosed in or before 2007, which may be because of increased awareness among parents and doctors and better diagnostic testing. Blumberg SJ, Bramlett MD, Kogan MD, Schieve LA, Jones JR. Changes in Prevalence of Parent-reported Autism Spectrum Disorder in School-aged U.S. Children: 2007 to 2011–2012. National Health Statistics Reports 2013; Number 65: 1-11. Autism and Developmental Disabilities Monitoring Network Surveillance Year 2008 Principal Investigators; Centers for Disease Control and Prevention. Prevalence of autism spectrum disorders–Autism and Developmental Disabilities Monitoring Network, 14 sites, United States, 2008. MMWR Surveill Summ. 2012; 61 (3): 1-19. 10 early warning signs of autismistockphoto “Could my child have autism?” With one in 88 children being diagnosed with autism, according to the CDC’s latest estimate, that’s what many new parents want to know. Autism is generally not diagnosed until age three, but signs of developmental delay can begin to appear as early as six months of age. This documentary offers a compassionate, open-minded look at LSD and how it fits into our world. Long before Timothy Leary urged a generation to “tune in, turn on and drop out,” the drug was hailed as a way to treat forms of addiction and mental illness. At the same time, it was being touted as a powerful tool for mental exploration and self-understanding. Consuming pomegranate juice regularly improves heart health(NaturalNews) Pomegranate juice is rich in antioxidants such as polyphenols, tannins, and anthocyanins. The health benefits of pomegranate juice have been compared to that of red wine, purple grape juice, and black tea. The only potential downside of fresh pomegranate juice is that it is very high in natural sugar.